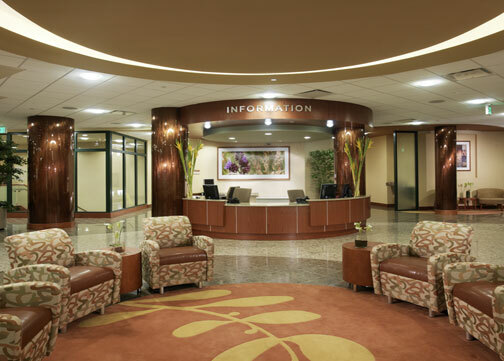 The cluster of seating in front of the Information Desk is at the center of circulation paths to the Heart Hospital, the main hospital, and outpatient destinations. The inset area rug is the focal point of the seating grouping, providing color and texture. Overhead, a circular recessed lighting cove futher delineates the "town square" gathering spot.